The decade that defined pop music. 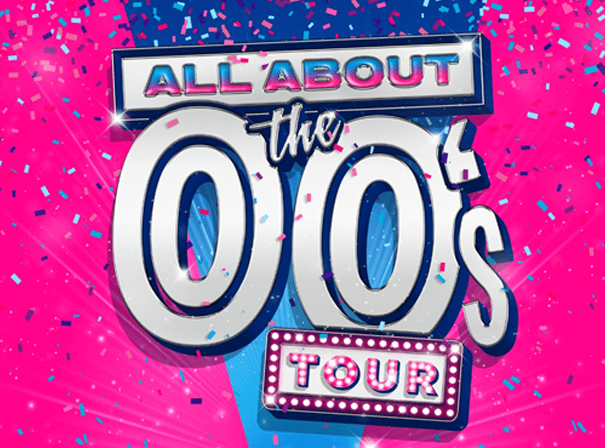 The All About The 00s tour brings together the iconic artists behind the timeless tunes and celebrated hits of an extraordinary decade to share a stage for the first time in this show-stopping event. Featuring exhilarating performances from a stellar line-up of artists that will showcase the best the 00’s has to offer, this sensational live show is set to be the year’s biggest party, bringing together the names behind the hits for an unforgettable night of nostalgia and celebration. The ‘All About The 00’s tour is an invitation to revisit the pop and R’n’B anthems that defined a decade. Expect to hear quintessential hits and instantly recognisable classics that’ll have audiences singing every word.